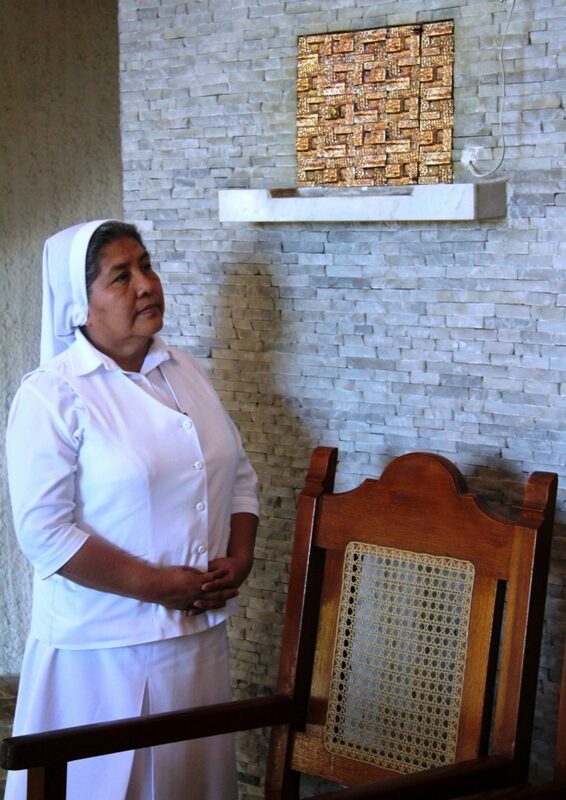 Editor’s Note: Our friend in CRISPAZ, Francisco Ugarte, recommended we interview Sister Maria, a Carmelite sister whose role is General Director for Hospital Divina Providencia (Divine Providence Hospital), affectionately known as “el Hospitalito” or “the little hospital” by Salvadorans. The reason Francisco suggested Sister Maria was because nuns in the Religious Carmelites Missionaries of Saint Therese who have selflessly operated this cancer hospital for 50 years are generally overlooked and under-appreciated. Actually the whole hospital is overshadowed by two other structures that share the same grounds. Divina Provincia Chapel is the church where Monsignor Oscar Romero was assassinated, and the Monsignor Romero Historical Center, across the street is where he lived. 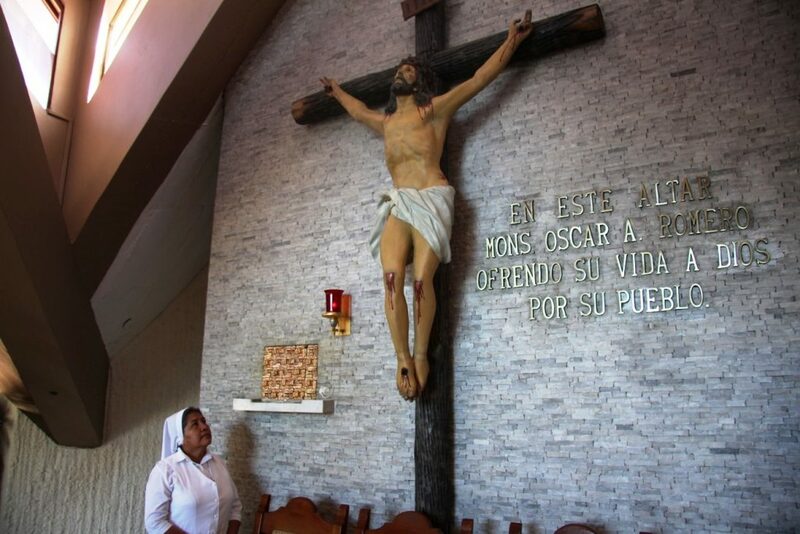 Pilgrims come from around the world to visit the latter two sites forgetting that the hospital is the reason Monsignor Romero chose to live and lead worship nearby in order to be in solidarity with its patients. CRISPAZ, (Christians for Peace in El Salvador) chose to honor the group of three sisters who primarily run the hospital during CRISPAZ’s annual recognition ceremony. Sister Maria told us it is the first time in the order’s 50-year history that they have received any recognition for their efforts. On August 15, 1977, on the occasion of Monsignor Romero’s 60th birthday, the nuns gifted him with a small house across the street from the chapel. His respect for their work was the reason he donated to them the $10,000 Peace Prize he was awarded which they used to open an orphanage for children of the cancer patients. 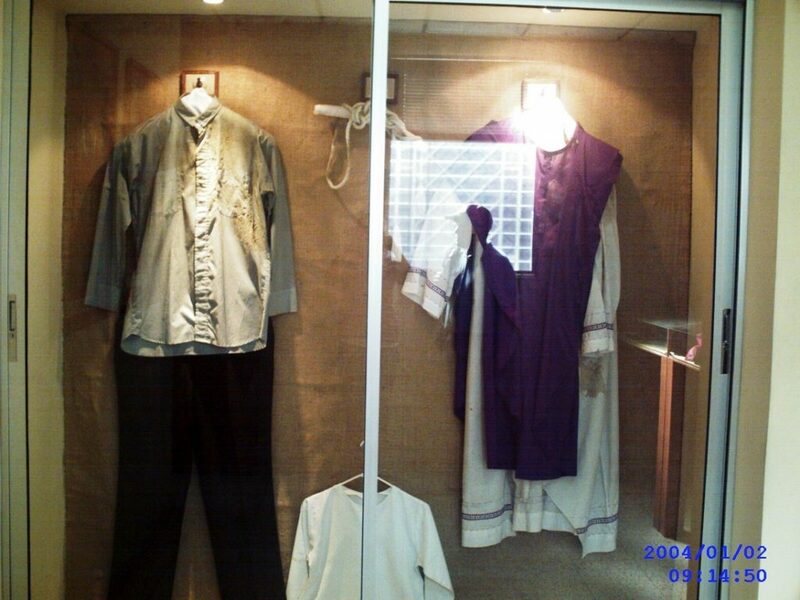 His house is now a museum, the Monsignor Romero Historical Center, open to visitors on tour groups. It contains many of his personal belongings such as clothing, books, papers, and the vestments and clothing he wore when he was martyred. The other tour site of thousands of annual visitors is Divina Provincia Chapel, where Monsignor Romero was assassinated while giving Mass on March 24, 1980. It is an active parish holding daily Mass, hosting weddings, baptisms, First Communions, Confirmations, and Fifteen Year celebrations. Divina Provincia Chapel was originally established to provide spiritual support for the hospital patients. Monsignor Romero christened it on July 16, 1974. Hospitalita – Sister Maria begins by sharing a brief history of the hospital itself. 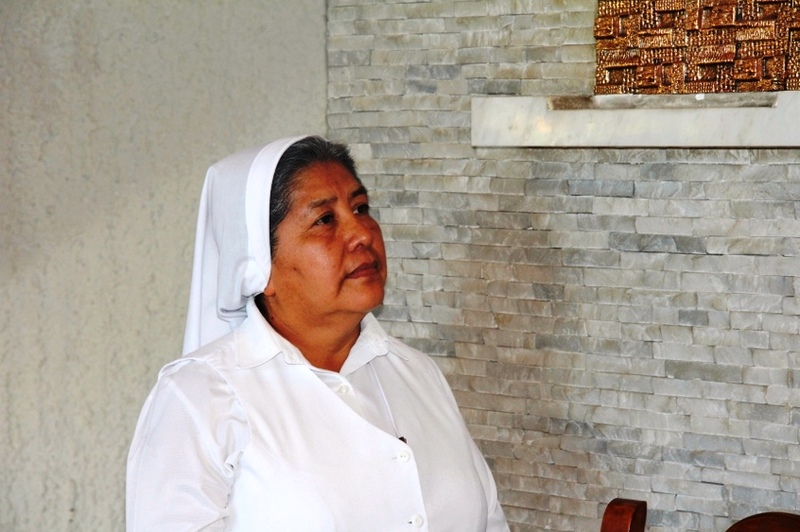 A Carmelite nun from Mexico, Sister Luz Isabel Cuevas, saw a need to serve the country’s cancer patients regardless of their economic situation. Mrs. Bertha Rivas de Albinana donated land for a hospital. It was built in 1966. When Oscar Romero was still a priest living in San Miguel, he felt great compassion towards individuals with cancer. He came here frequently to attend to their spiritual needs. Originally the hospital provided standard cancer treatments including radiation. In its early days cancer patients, particularly those living far from urban settings, were left untreated or required to wait exorbitant periods of time to receive treatment. Over the years patient care began including better pain management, and more recently palliative care including not only medical care, but spiritual care extending to the patient’s family. They focus on the quality of life during the final stages of the disease. For those whose disease is advanced, this includes helping them accept the illness and die with dignity. There are 70 beds available. When did you make the decision to become a nun and why did you choose the Carmelites? I was born in 1952 and I am the oldest of five siblings. In 1970 when I came to this congregation, it was an attraction like when one falls in love and thinks ‘this is my beloved.’ I saw the Carmelites working in the hospital, the nurses attending to the sick. I was consecrated at my formation house where I studied in Guatemala in 1979. I also became a nurse. At the time I studied there were two levels, but now there are three levels of nurses in the country. They have added technical ones. Nurses here must be approved by the health ministry. 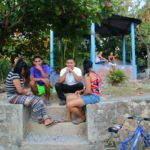 I wanted to help people in El Salvador because I knew we could not avoid a civil war here. I stayed impartial politically in order to treat the sick. Did your parents support your decision? My father did but my mother did not. She wanted me to marry. I still care for her in her nearby community as she struggles with Alzheimer’s at 94 years of age. Did you personally know Monsignor Romero? If so, how did you respond to his death? I was serving in a community nearby at the time he was assassinated. I was impacted greatly, filled with much pain and sadness. All of us sisters knew who he was. He was a close friend of the sisters of the community and sick patients of the hospital. He worshiped with the patients and prayed with them. The hospital cannot be separated from Monsignor Romero. What were the repercussions of the hospital after Monsignor Romero’s assassination? When he was alive, there were many donations to the hospital. After he died, many thought he was too politically involved, a troublemaker who had supported the guerrilla movement. Donations decreased while we were getting more patients. There was less interest in the hospital. Does the financial stress continue for the hospital or does the country now cover the costs to run it? We receive $100,000 annually to cover the medications but spend $300,000. Where does the difference comes from? (She folds her hands and looks up) We ask the Lord. We sustain ourselves through donations and sometimes do fund-raising such as the 50th anniversary celebration through the media helped advertise us. Even the American School here helped support us by providing a handicapped ramp we needed. Sometimes people donate beans and corn to help us. And we appreciate volunteers who help us, praise God; my engine is tired. I’ve been here 15 years now. What do you do to re-energize yourself from your hectic schedule? We have morning and evening prayers that give me strength. We take retreats twice a year at our retreat centers for a week at a time. They are very helpful. One is here in San Salvador and one is in Guatemala. Have you ever doubted your decision for this vocation? Never. I am very happy. During your tenure here as a hospital administrator, what have you seen change? The special care to control pain such as morphine helps patients manage their high levels of pain. Adding spiritual support to families to help them accept the illness and perhaps death, giving moral support. In 2000 we hired more doctors and nurses. We currently employ 18 nurses, 5 doctors, a pharmacist for our pharmacy, provide respiratory therapy, psychological support, and P.T. volunteers. Not all employees are Carmelites or even religious orders. One of the nuns who conducts tours. What about your administrative staff? We have a group of seven working together. Three are old now and a little sick. One fell and broke her hip. Three of us are working very hard to share the responsibilities. One works primarily in the library; one works in the historical center. I do the rest including admissions, hiring staff, check-ins, administration. There aren’t enough hours in the day. That decision comes from my boss and the necessities at the review meeting held every two years. I would need to re-locate to a Spanish-speaking country. I’ve always wanted to learn English but lack the time to learn it. Does your facility take any cancer patient? We do not take children because the David Bloom Hospital treats them. What is the most gratifying part of your position? I am happy to be helping the poor that no one else is helping. What is your hope for the hospital? We would love to increase the supporters in order to continue to grow. I would also like to see my congregation find more nurses. I would like to see pain of those suffering decrease. There are many people working to decrease the violence; many working with women; many working in HIV/AIDS, but few working to support the cancer patients. Editor’s Note: Never once did Maria initiate the award CRISPAZ gave to acknowledge the work of the nuns at Hospitalita. I brought it up and she glowed that I would even know about it. 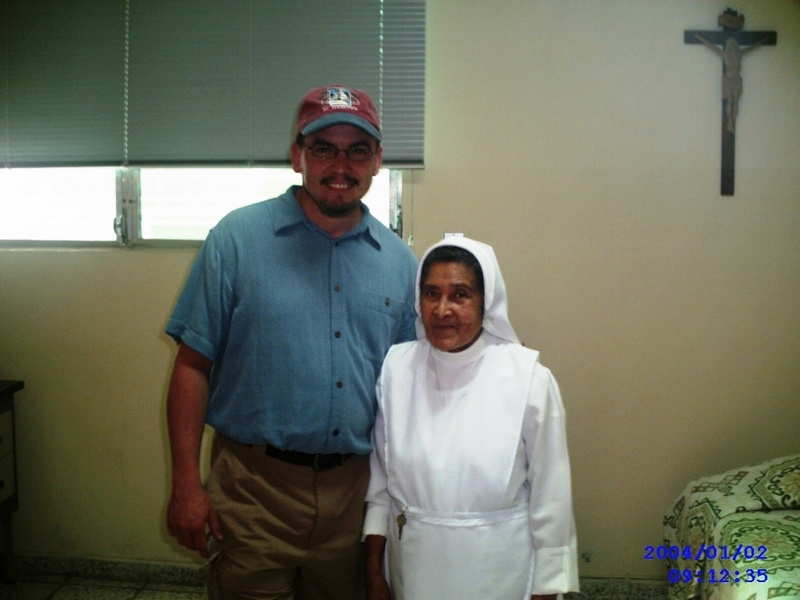 At that point she reinforced that this location is known as the site of Monsignor Romero’s martyrdom, but it took 50 years for those who he admired and worked closely with by serving together at the hospital to receive recognition.